During any trip around the south-eastern corner of Europe, there is a reasonable chance that you will encounter something that was built by the Byzantine Emperor Justinian. Among Roman emperors – and Byzantium essentially was Rome moved to the east – perhaps only Hadrian matched the zeal of Justinian for building things. Hagia Sophia is, of course, the most famous of all Justinian’s projects, but travel around the Balkans in particular and somewhere there will be a church, a castle, an aqueduct, a bridge or a fragment of something that owes its existence to the Emperor. 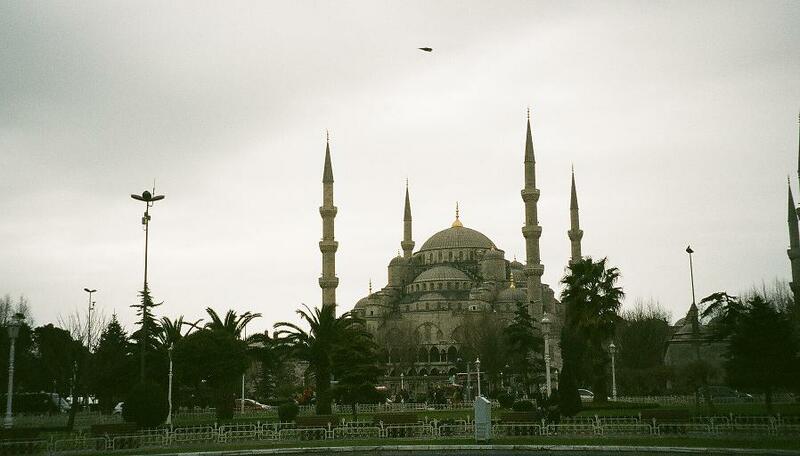 The great basilica in Constantinople was, in fact, the third such built on the site. The first two were burned down and within weeks of the second catastrophe, Justinian had ordered a replacement, but on a scale never seen before. Almost unbelievably, the construction of the enormous church had been completed within six years (just think how long it took to build Wembley Stadium nearly 1500 years later). True, there was still artwork and mosaics to be added internally, but the achievement was truly phenomenal. The model for the great building was the Church of the Saints Sergius and Bacchus, better known as Little Hagia Sophia and completed in the year before the super-sized version. 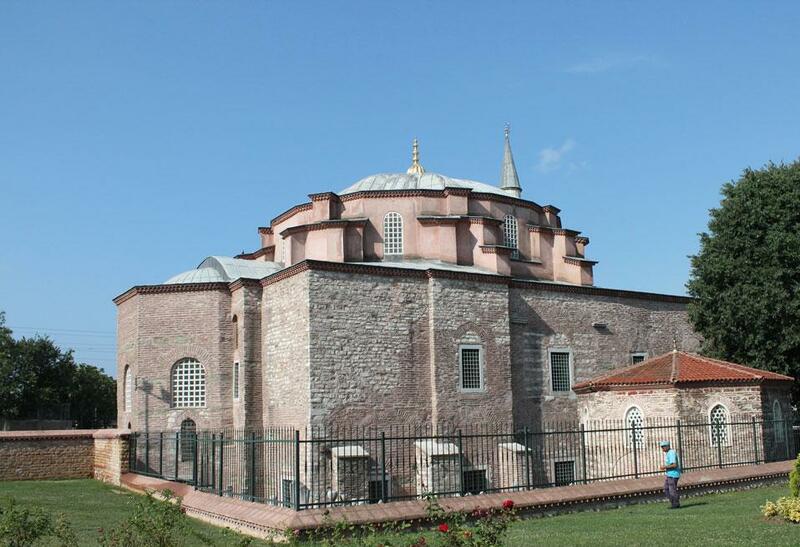 Eventually, the smaller church was converted into a mosque by the Ottomans, but lives on in the form of Küçük Ayasofya. Some of the constructions are no longer with us. 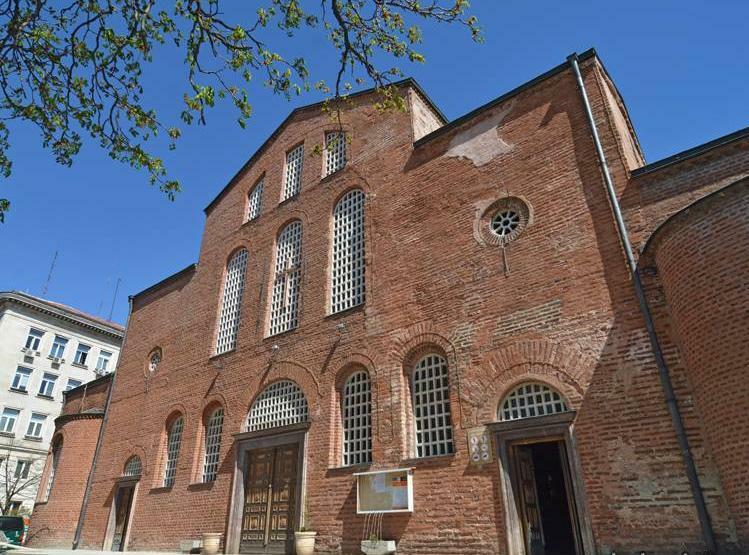 Another reconstructed church in Constantinople, the Church of the Holy Apostles is now the site of the magnificent Fatih Mosque. The triumphal Column of Justinian was demolished by the Ottomans in the 16th century. Justinian also rebuilt the Great Palace, little of which building survives, although happily many of its beautiful mosaics are preserved at the Great Palace Mosaic Museum in Istanbul. Justinian wasn’t just about vanity projects, though. Something that lives on in modern Istanbul is the extraordinary Basilica Cistern, built during his reign to provide water to the Great Palace and other nearby buildings. Even today, the Topkapi Palace is served by the cistern. The cistern is almost a cathedral in itself, containing huge Greek and Roman style columns, two of which portray carved Medusa heads. 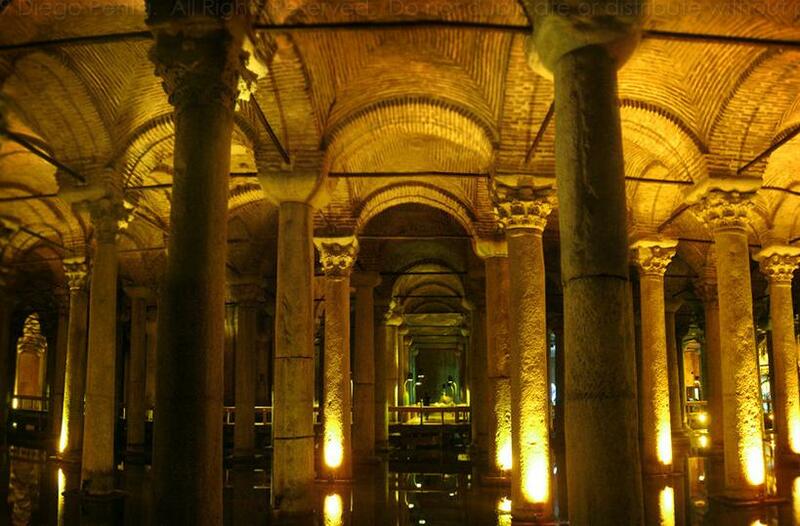 Justinian also restored the Cistern of Philoxenos (or Binbirdirek in Turkish), which features 224 marble columns. Another basilica built under Justinian’s auspices is the Basilica of San Vitale in Ravenna. 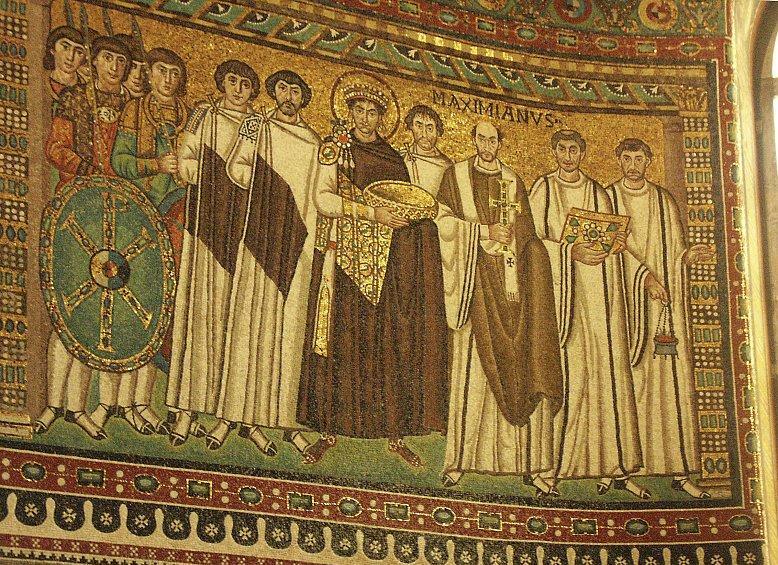 Among this church’s glorious collection of mosaics is the famous depiction of Justinian that seems to appear on just about any book devoted to the Byzantine Empire. Another mosaic features Justinian’s wife, the Empress Theodora. Remnants of Justinian’s era are dotted around the Balkans. Tirana is a curious place, with its mixture of Chinese and Soviet style architecture interspersed with the odd Ottoman building, but near the centre of the city, you catch a tantalising glimpse of Kalaja Fortress, yet another of the Emperor’s projects. There is little left to see, but a few walls remain and possibly some archaeological remains, though it is impossible to be sure as the area is not open to the public. 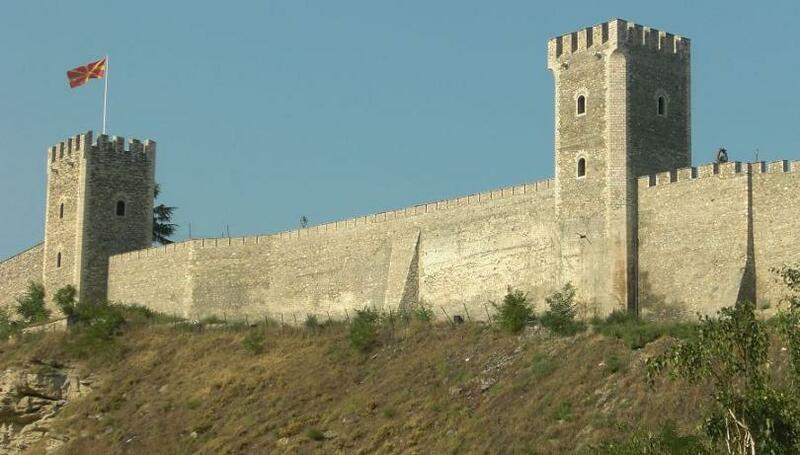 Justinian was born near the present Macedonian capital Skopje, so it’s no great surprise to know that the imposing Kale Fortress that overlooks the city was built during the reign of that emperor. Like so many fortresses, castles and citadels, this particular edifice has been rebuilt and reconstructed many times, so the current building is rather different to the original, but its existence is once again due to Justinian. 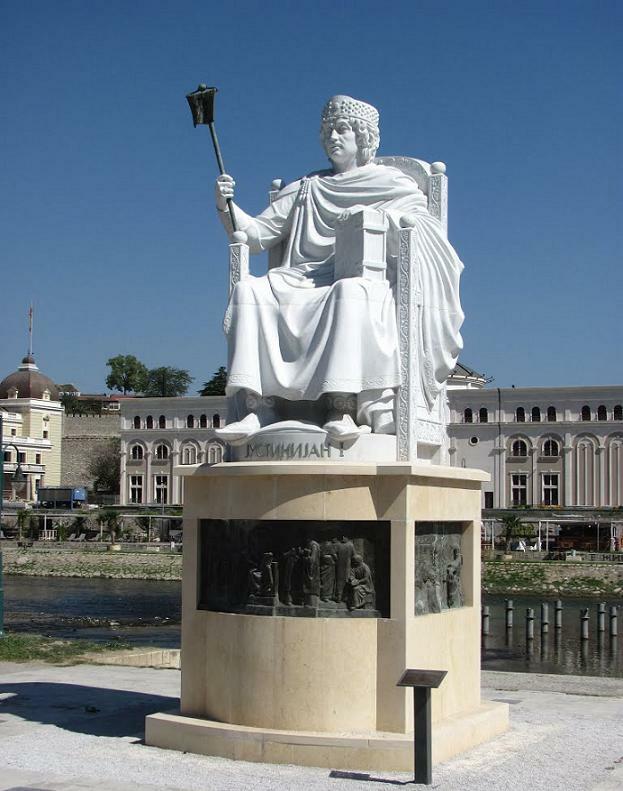 With a touch of irony, while ancient statues and monuments to Justinian have gone, modern-day Skopje remembers the great emperor among the myriad statues that have sprung up in Macedonia Square in the past few years. In an even more ironical twist, the Justinian monument is of identical style to the nearby one of Tsar Samuel of Bulgaria, who spent much of his life engaged in almost constant warfare against a later Byzantine leader, Emperor Basil II. This leads us tidily to Sofia, where the St Sofia Church is the city’s second oldest. The church was built, at Justinian’s behest, at a similar time to Hagia Sophia (Holy Wisdom) and ultimately – though not until the 14th century – was to give its name to the present Bulgarian capital. Any Byzantine Emperor with aspirations of greatness (and Justinian was not a man riddled by self-doubt) desired to leave their mark in the Holy Land and Justinian’s contribution was the Nea Ekklesia of the Theotokos, perched on top of Jerusalem’s Mount Zion. As a statement, this was pretty unequivocal, although a church so precariously situated was unlikely to have a huge life span and it duly crumbled under an earthquake some 200 years after its construction. Across in Syria, however, there are remains of yet another Justinian construction. 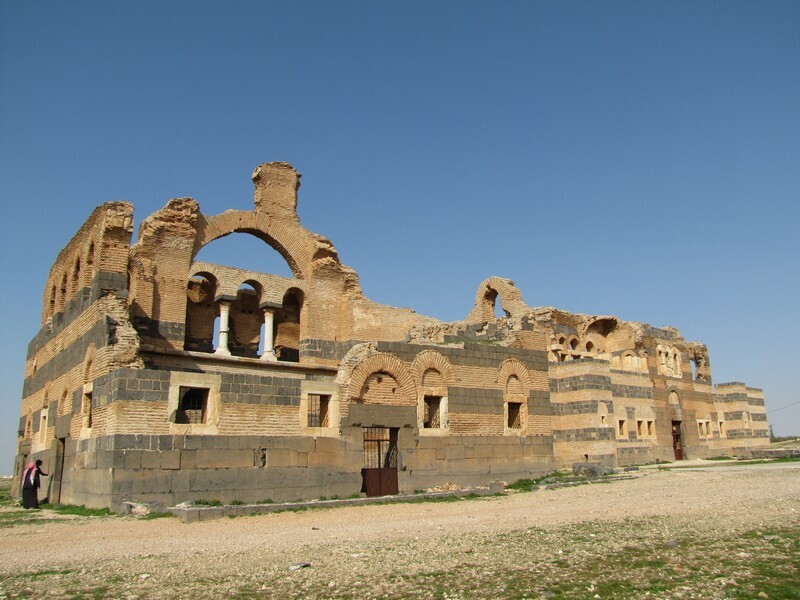 Qasr ibn Wardan was a defensive complex built in the Syrian desert and substantial parts of the palace and church are still beautifully preserved. The style of the building stands out almost incongruously against the desert, a building completely out of keeping with its surroundings. 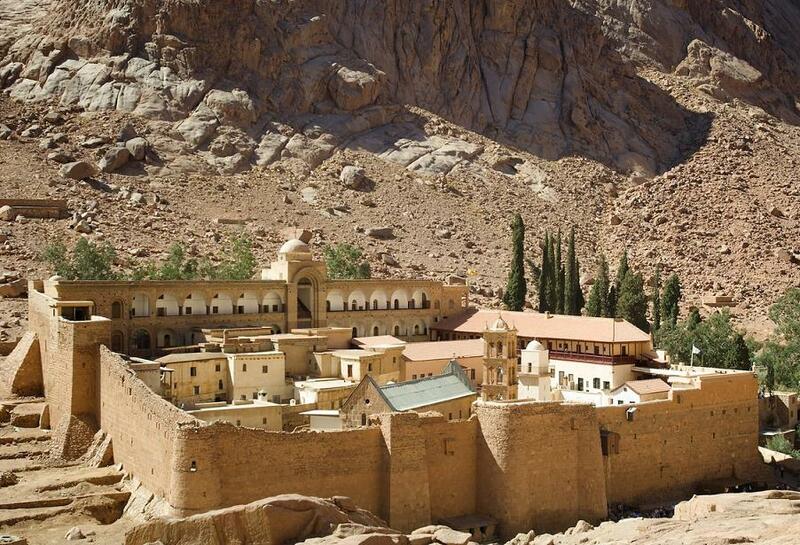 Continuing into Egypt, one of the most famous buildings in the Middle East, St Catherine’s Monastery, is a further example. The basilica attached to the monastery bears an inscription dedicated to the memory of the Empress Theodora, who died shortly before the construction of the complex. Back in Istanbul, you may be told by guides (human or written) that the Galata Tower was one of Justinian’s buildings. This is quite simply wrong. The tower was built by the Genoese is 1348. There had been an old Byzantine tower at a different site, but the present Galata Tower has nothing to do with it or Justinian. All emperors liked to leave their mark, whether their intentions were megalomaniac, dynastic or altruistic (or a combination thereof) and some did so more spectacularly than others. Justinian certainly did and his legacy can be seen all over the south east of Europe and sometimes beyond. This entry was tagged Byzantine, Byzantium, Justinian. Bookmark the permalink.